Product categories of Grain And Bean Cleaning Plant, we are specialized manufacturers from China, Grain And Bean Cleaning Plants, Sesame Seed Cleaning Plant suppliers/factory, wholesale high-quality products of Bean Cleaning Plants R & D and manufacturing, we have the perfect after-sales service and technical support. Look forward to your cooperation! We provide whole set custom-made grain/bean cleaning plant solution. According to raw material condition/ cleaning requirement/budget, our experienced engineer will design appropriate Grain Cleaning Plant for customer. We built grain cleaning plants over the 5 continents. Cleaning material includes quinoa, sesame, wheat, maize, paddy, chickpea, red kidney beans, etc. From small chia seeds to big pulses, we can offer you the cleaning solutions. Capacity ranges from 3 ton per hour to 10 ton per hour. Our engineer make reasonable plant layout in your workshop. No matter one-floor plant design consisting 3 or 4 machines or two-floor plant design including machines more than 10 sets. On-site plant installation and plant operation training are available. You do not need worry about plant running and after-sales service. One set grain cleaning plant normally including the flowing single seed cleaning equipment: Seed Cleaner & Grader, Gravity Separator, destoner, Indented Cylinder , color sorter, elevator, conveyor, Bagging Scale . Besides this, the outdoor dust cleaning system, power control panel, underground hopper is also the main features of the grain bean cleaning plant. 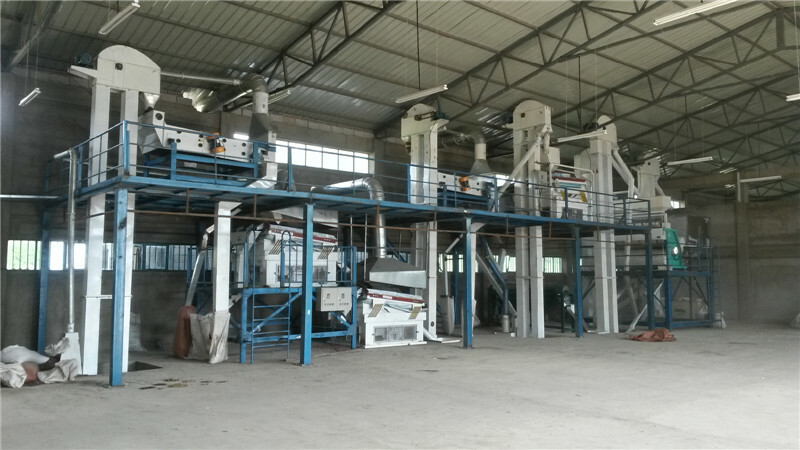 Combining of different cleaning purpose machines, the Grain Seed Cleaning Plant can reach cleaning rate of 98%. It is one simple 10 tons barley cleaning plant we built in Australia. The main machines have barley deawner, Fine Seed Cleaner, gravity separator, Bagging Scale System. Barley deawner: remove the husk/ shell coated on barley seeds. Fine Seed Cleaner : remove the dust, light impurity as husk, straw, big impurity and small impurity. Gravity separator: remove the immature, eaten, sicken, shrink seeds. Bagging scale system: weighing and packing seeds to bags. Following is one two-floor Seed Cleaning Plant reference. This grain cleaning plant is used to clean sesame, chickpea, soybean, red kidney beans. One seed cleaning plants can be used to clean different kinds of seeds. Only needing is to change suitable sieves/ sieve bed for different seeds. This plant cleaning kidney beans capacity is 8 tons per hour, and 6 tons per hour when clean sesame. 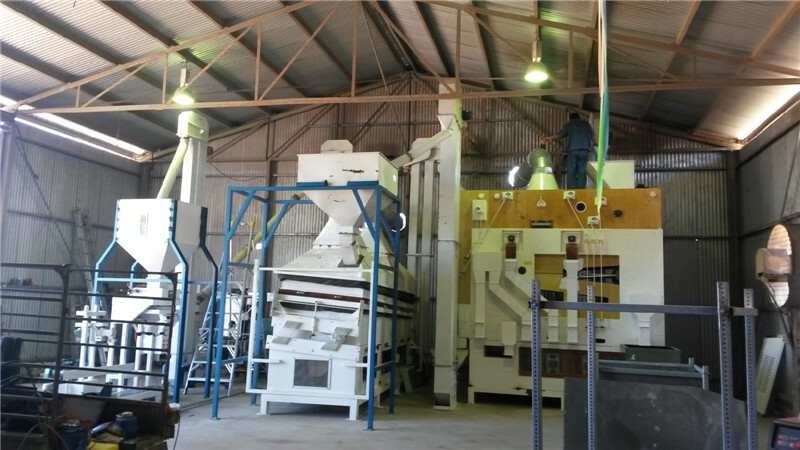 This plant including two sets seed cleaner & grader, two sets destoner, one gravity separator and color sorter, bagging scale system. Because raw material is dirty, two sets seed cleaner & grader, two sets destoner can ensure the cleaning effect and increase the capacity.